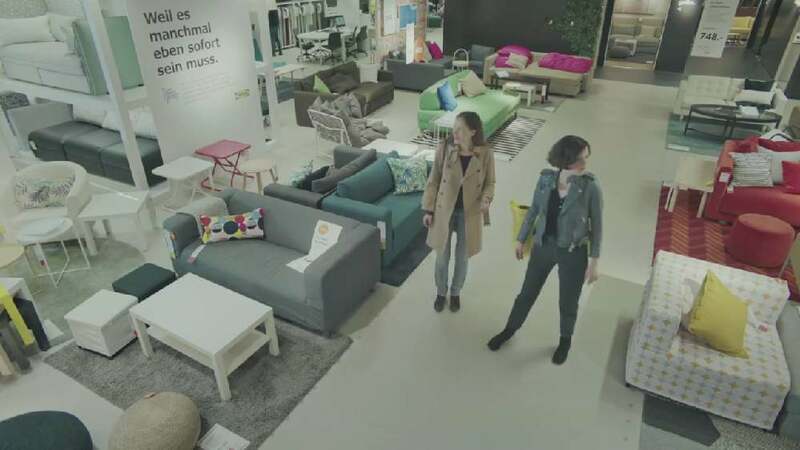 In this commercial for cinemas, sound is the key which creates suspense for the action: at the IKEA store, the customers hear a strange noise sounding like the bellowing of Chewbacca from Star Wars. The customers look around inquisitively and discover a man pushing a chair draped in a brown sheepskin rug to and fro. That is where the sound comes from and the fur seems to make the chair come to life. The music, the bellowing and all of the background sounds used in the film were recorded in the store during filming. The commercial was shown upon the release of the movie “Solo: A Star Wars Story”, followed by media placements on TV and social media.